This week is all about Back-to-School or for me, Back-to-Work! This is always a super crazy time of the year, but it's also like a fresh start! That's the beauty of teaching, you get 2 "New Year" resolution periods a year!! Every year at this time I buy new clothes, find new weekday recipes, adapt my hair and beauty for upcoming Fall, and try to get organized! This weeks Sunday Seven are definitely influenced by my quest for a fresh start of the school year!! I've provided links to each for easy shopping/viewing!! Confession, I may have bought this dress and 11 other similar ones in the last month! Eek! This year at our school, we have major parking issues, so I possibly have to walk several blocks into work every morning depending on where I find a spot to park. That means 1. Trying to get to work a lot earlier to get a spot, and 2. Dressing as comfortable/ cool as possible so that I don't get super sweaty on the way in every day in this 100 plus heat! I've always been one for casual comfort over fashion, and I love that I can add accessories to "dress" it up more for work, but its also perfect for a top knot and flops at the grocery store on Saturday!! I'm obsessed and love, love, love it! Now that I'm back to packing my lunch every day for work, it's back to my favorite easy go-to chicken salad recipe! 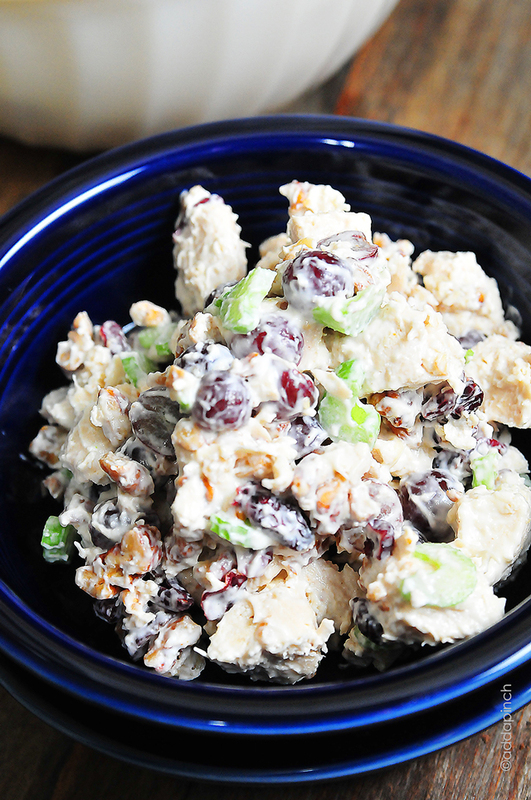 I love chicken salad because it's so easy to make, holds up for close to a week, and its always yummy! Not all chicken salad recipes are created equal in my opinion! My co-worker and I always joke that we like a little chicken salad to go with our grapes, meaning we like a 50/50 ratio of everything else to grapes!! This recipe is my go to recipe, although I do add more grapes than it calls for! I buy a rotisserie chicken every Sunday, mix up a batch, and then take it every day for lunch! Sometimes I'll eat it over a bed of greens as a salad and others I go for bread or even a croissant if I'm throwing all healthy instincts to the wind!! It is seriously SO good! This summer was the first summer that I didn't go lighter with my hair color! Since having Stella, I put my hair on the back burner for just obvious time reasons, so I've progressively gone darker and darker with my hair color so that I only have to get it done every 4 months or so. While my hair is already a dirty/dark blonde to start, I'm still hoping to add in a bit more dimension with deeper low lights, and softening my blonde highlights to a honey shade! I'm going in today, so we'll see how it goes! I'm totally in love with the bronde movement! I was toying with cutting a few inches off to have a shoulder length lob, but I think I'm going to just stick with my long tresses for now! It's just far too easy to pull my hair into a pony with this crazy heat and my crazy toddler! In the summer, I avoid make-up because its just so insanely hot in Texas! If I wear anything, I wear a little concealer, blush, and mascara! Now that I'm back to work, I'm going back to a typical daywear make up routine. I've never been heavy with my make up, but I do opt for a bit more coverage. Beauty Counter's Dew Skin Tinted Moisturizer is my favorite currently! It gives me a smooth complexion without feeling like I'm wearing a foundation, and it has a dewy feel to it that looks natural and fresh which I love! If you're looking to stock up on some end of the summer sale looks from Anthropologie, now would be a good time to do so! All of their sale items are additional 30% off for a limited time!! I am pretty thrifty, so I usually only buy things on sale at Anthro, so a sale on top of the sale is a winner in my books!! They have some great finds including this casual peplum tank I snagged to wear now and layer later into Fall! They have some good Home finds on sale now, too! I'm eyeing some knobs I found to update Stella's chest of drawers! Back-to-school time can be exhausting and sometimes stressful! I love having something in my Netflix or Amazon Prime que to watch when I need to unwind and relax! Matt and I are currently behind the rest of the world and have JUST started binge watching Game of Thrones which is neither relaxing or comedic in any sort, so I'm having to look elsewhere! I decided to start the new series Atypical on Netflix as it's a dramedy that's about a teenage boy on the spectrum. I LOVE it! It is an honest and refreshing take on the dynamics of family life and the struggles and beautiful aspects that go along with Autism! I really hope it gets another season!! I'm also in love with the new series Friends From College! It follows the lives of a group of friends post college and the messy inner-workings of their relationships!! It's SO good and it has a great cast!!! A large tote is a must as a teacher! I like to start out every year with a fresh tote because by the end of the school year it is dirty and full of random bobby pins, paper clips, and peppermints, so I tend to just chunk it on my way out for summer! I'm loving this Scout tote for this school year! It is large enough to hold all of the things I need to haul back and forth, has a zipper top closure which is a must, and is water resistant which is good since I may be walking into work in the rain a few times this year!! So there is my Sunday Seven Round Up for Back-to-School!! I hope you like some of the picks! !